With news of the UK’s plans to prohibit the sale of all new diesel and petrol vehicles by 2040, consumers must eventually start looking for greener vehicle alternatives. The electric vehicle industry has been making significant progress over the past decade, with new registrations for EV’s in the UK reaching record highs in 2018. Here, we team up with used car retailers Motorparks to take a look at how electric vehicles have been changing the face of the automotive industry and make some predictions for the future of the market. Manufacturers in the automotive industry have had to adapt their offerings in order to meet the demand for greener vehicles. Jaguar and Land Rover are late comers to the electric vehicle market, only recently introducing their first all-electric vehicle, the Jaguar I-Pace concept. But that hasn’t stopped them from pulling out all the stops to catch up, by announcing that they plan to be all electric by 2020 – a big step into the EV industry for new comers. This news followed Volvo’s pledge to do the same but by 2019. The prestige brand promises that all new models produced and registered from 2020 will be fully electric or hybrid – and that their customers will have more choice moving forward. Although it was revealed last year that Jaguar Land Rover were making plans to open an EV manufacturing plant in the UK, the future of the decision now looks unclear due to Brexit uncertainty. Despite the uncertainty surrounding Brexit, the future of electric vehicles looks positive in general. Volvo plan to release their first standalone electric car in 2019. In addition, Nissan has sold thousands of electric models already. They are the brains behind the second most popular electric model in retail, and the bestselling all electric model in the UK, the Nissan Leaf – with over 30,500 units sold in the UK, and over 300,000 units worldwide. The new model has a battery mileage range that is double the range of its previous models. An issue that was apparent for all manufacturers, not just Nissan. The new, quicker charging EV batteries take just 30 minutes using a rapid charge point. Researchers claim they could have developed an ‘instantly rechargeable’ method that recharges an electric battery in the same time as it would take to fill a gas tank – a solution to the biggest headache of electric vehicles. This would revolutionise the EV industry, as battery life and its charge has been the biggest challenge for the industry. The new method is said to use fluid electrolytes to re-energise battery fluids – reducing the need for new infrastructure to support further recharging solutions. Data shows that there are 11,154 electric vehicle charging devices across 6,749 locations in the UK as of January 2019. However, if the popularity of EVs continues, we will need to continue to build more charging points to fill demand. And if we are to overcome the ongoing headache that is a full battery charging time of 8 hours, we will need an influx of rapid charging points which can charge up to 80% of an electric battery in just 30 minutes, as opposed to slower charge points. Thanks to a multi-million-pound deal with ChargePoint back in May 2017, InstaVolt are installing at least 3,000 rapid charging points across fuel station forecourts across the UK. 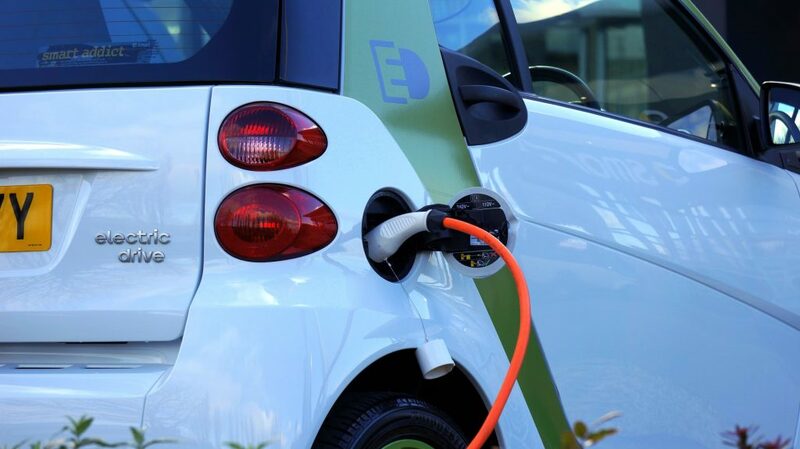 According to the National Grid, peak demand for electricity could increase by 50%, if and when the nation switches to electric vehicles – which could be sooner than we think now that a new pan-European EV charging network has been announced too. IONITY, set up by the BMW Group, Daimler, Ford, and the VW Group with Audi and Porsche, launched the network early November 2017, and plans to work on 20 ultra-rapid charging points has already begun as they target for 400 points across Europe by 2020. 2018 is forecast to see the network expand across more than 100 locations with the intentions of making long distance EV travel easier. It is predicted that as the deadline for the phasing out of petrol and diesel cars approaches, electric vehicles will continue to increase in popularity. If manufacturers can truly cut down the time it takes to recharge the battery, and develop batteries that can travel further, the industry could be revolutionised and experience an influx of drivers wanting to get their hands on an EV! Advancements in EV technology have also had a significant impact on the automotive industry as a whole. Drivers have realised the harmful effects of their petrol and diesel automobiles, and the government’s plans to introduce a number of zero-emissions zones in several major cities are underway.